Getting your name out there and your brand recognized in a city as large as Philadelphia can be a daunting task. This is especially true when you are in a niche market that few people even realize exists. If you are a small, family-owned enterprise, going with giant billboards or television ads may not be in your budget. Fortunately, there is a cost effective solution that even the smallest businesses can afford: vehicle graphics. Got Laundry? 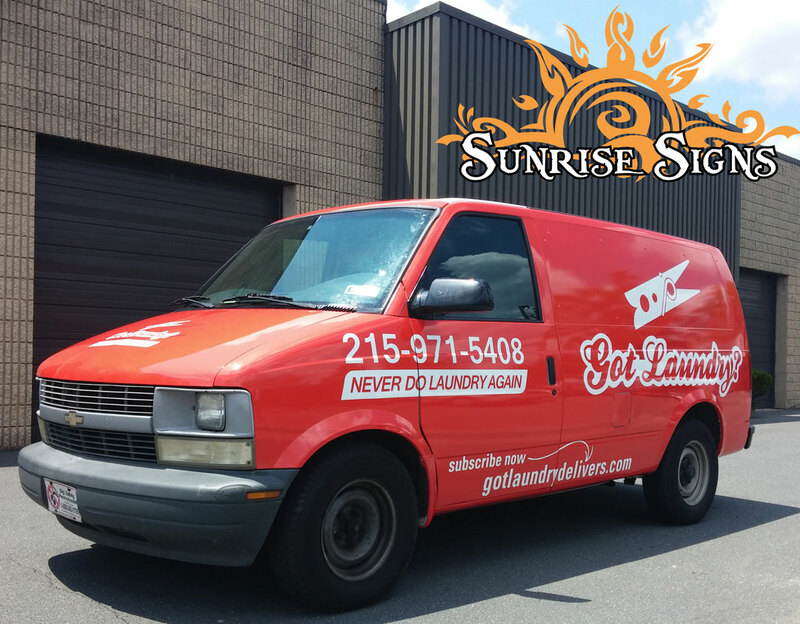 realized this and contact us for Chevy Express van wraps for Philadelphia.